Once upon a time, there were 2 young men, Jack and Tom, aged 23, who had just joined the workforce. Both of them had the same education, brings home the same amount of money each month, and both have the habit of saving at least 10% of their monthly income. The difference between Jack and Tom is that Jack invests his savings into the stock market while Tom keeps all his money in the bank. Jack was able to achieve a yearly return of a modest 7%, compounded over the course of his career. When he was 45 years old, his wealth is sufficient for him to retire, and thus he spends his day doing the things he like while Tom spends his life stuck in the rat race. Who would you like to be? Jack was able to retire early because he invest his money in the stock market and have his money working for him to generate more money. However, investing blindly is no different from going to the casino and praying that you can double you money on every hand. In this article, I will go through the basics of investing, to give you a brief understanding on what is it about and what to expect. Stock market can be seen as a market place where listed companies sell a percentage of their company to the public to raise money. The public can become part owners of the company by purchasing the company share. The price of each shares are determine by supply and demand. This means that if more people want to buy the shares of a certain company, the price of that company will usually go up. However, always remember, price is what you pay for it. Since it is driven by supply and demand, the prices do not always reflect the true value of the company. At the end of the company's financial year, they can choose to either pay out some money as divided or reinvest their earnings for growth. Due to all this factors, the stock market gave birth to two types of players- investors and speculators. As mention in the previous section, the price of the company is determined by demand and supply. This is why the market can be manipulated by the rich. Let us look at a short story to understand this point better. Once there was a fish collector who told everyone in town that he would buy fishes for 1 dollar each. The public then went out and started fishing for them and sold to the collector. Once the supply of fish went down, it was harder to catch the fish. The collector then announced that he would now pay 2 dollars for each fish. This renewed the effort of the public to begin catching fish once again. This time round, the supply of the fishes in the town fell to an all-time low. This is when the collector told the public he would now pay 10 dollar for each fish. However, he had to leave for a while so he had his assistant buying for him. The assistance then told the public that he would sell them the fishes they caught previously for 4 dollars each, so that they can sell it back to his boss when he returns. The greedy public bought up all the fishes at 4 dollars each, only to realize that the collector is never returning. From this story, we can see how the prices of stocks can be manipulated. Always remember this- Price is what you pay, value is what you get. There are two types of players in out there- Investors and traders. Investors buy shares of the companies which they believe it is worth holding on to. They see themselves as a part owner of the companies they invest in, and they usually hold the stock for an extended period of time. They will study the companies, and either invests in companies which they believe will grow in the long run, or stocks which pays good divided regularly. On the other hand, traders buy and sell base on tips and news. They neither hold the stock for long, nor cares about the underlying business behind the company they buy in. Traders do not see themselves as owners, and they will buy and sell shares once they made a small profit. Both ways to playing stocks involve risk, and the game plays behind them are different. Now that you understand what a stock market is, what drives the price of a share as well as the type of players you will find, let us look at how you can earn money from it. The first way is to invest in a good company which you believe have the potential to grow in the long run. You will then have to analyse the underlying business model, financial report, top management team as well as the direction of the company to determine their value. Once you think that the company you study has room for growth and the price is right, you buy into the company and wait for it to growth. The second way is to buy a company that pays a consistent divided, hold on to it for its divided every year. The third way is to buy the shares of the company base on some news they release, and sell it once you have a made a small profit. Of course, these are the most basic ways to earn money from the market. There are other ways to earn from it but it would require a more advance understand of the stocks work. Inflation devalues you money every year. Understanding the stock market allows you to invest and grow your wealth. However, like any subjects we learn in school, the foundation of investing is very important. Without a firm grip on it, investing in it is no different from gambling. 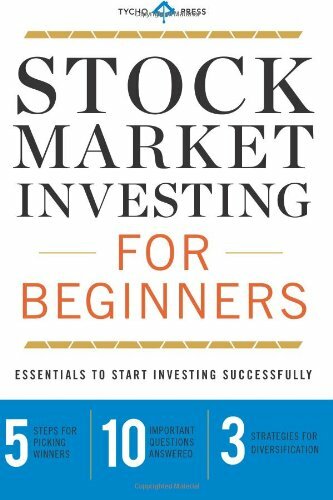 I hope that you gained some basic understand about stock investing!